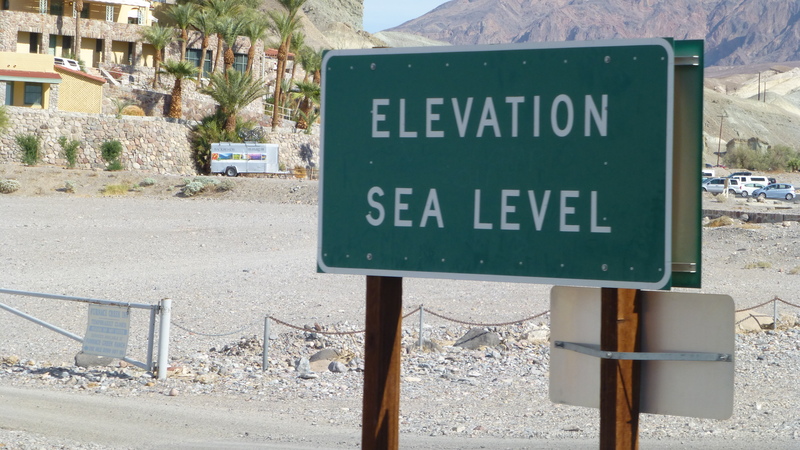 We had an interesting drive through Death Valley! We are excited to go back someday, stay in the park, and really visit instead of just driving through. 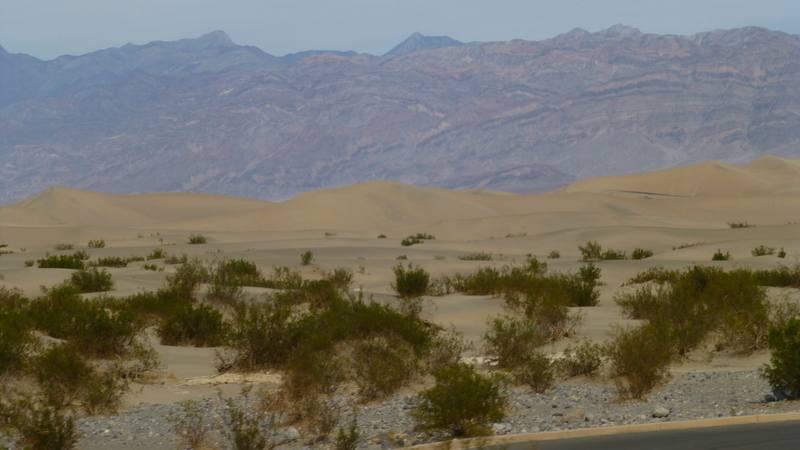 The area is so vast with many different landscapes, as well as healthy coyotes, $5.98 gas, sand dunes, and many elevation markers. 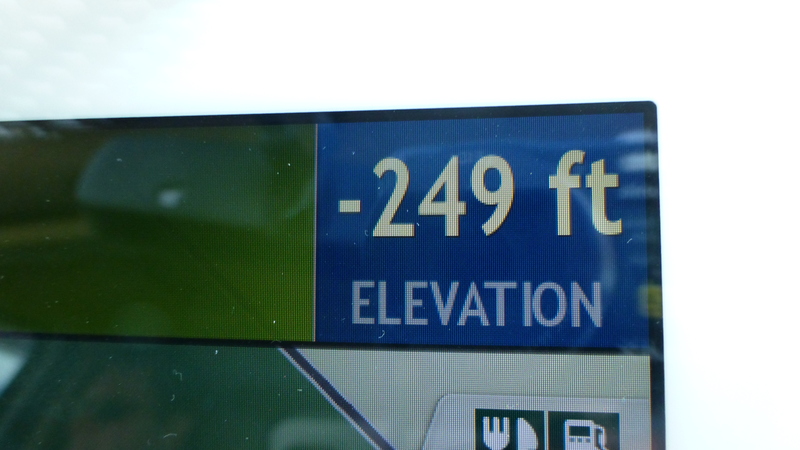 We didn’t actually see the lowest elevation in North America, -282 feet at Badwater Basin, but this was pretty close on our GPS. Traveling just 100 miles west , we are now in the shadow of the highest point in the lower 48, Mount Whitney at 14,491 feet. 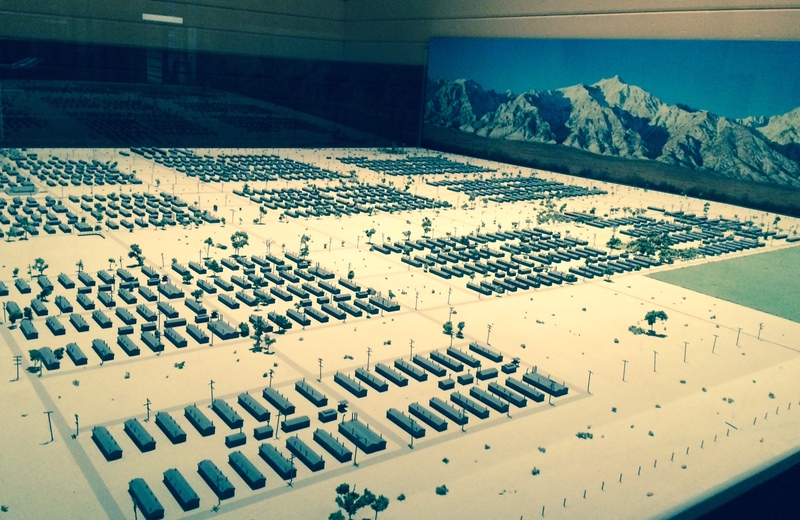 We are in Lone Pine, California on the east side of the Sierras. 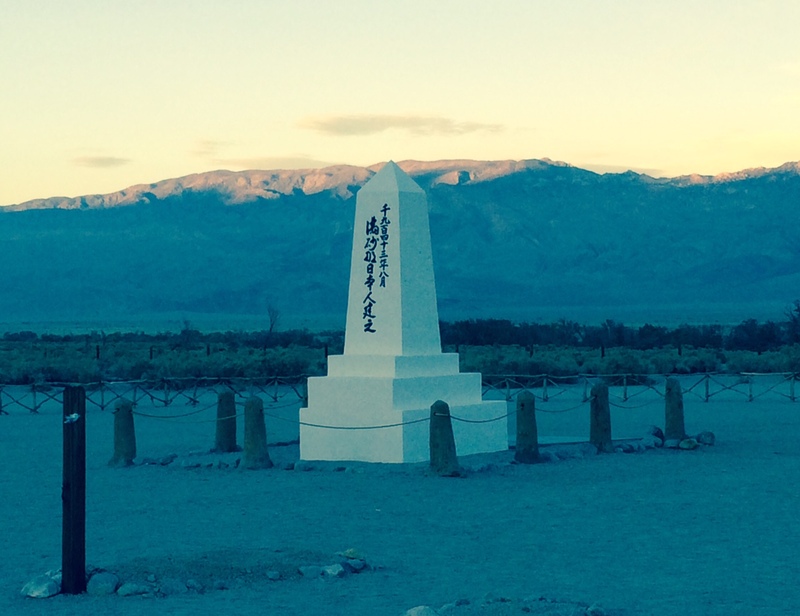 After getting settled in Lone Pine we went to Manzanar, a National Historical Site on the grounds of the former Japanese relocation center. The next day we got back to fun things! Our first start was the Film History Museum. Due to its proximity to LA, (and the scenery), this area was a common “location” for movies beginning in the 1920s. 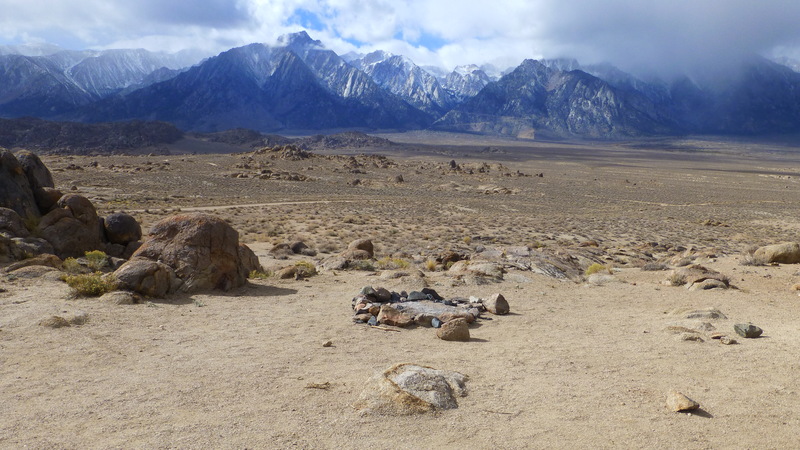 Over 200 movies were filmed in the Alabama Hills near here, mostly westerns. You’ve seen the area many times and never knew! It has also been used in science fiction movies and, more recently, lots of truck commercials. 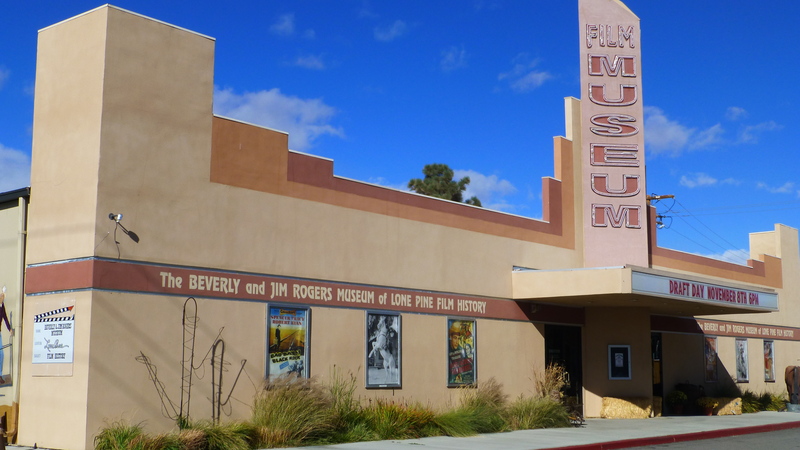 If you love movies, especially old movies, you would love this museum! We spent an hour in the museum and barely scratched the surface. 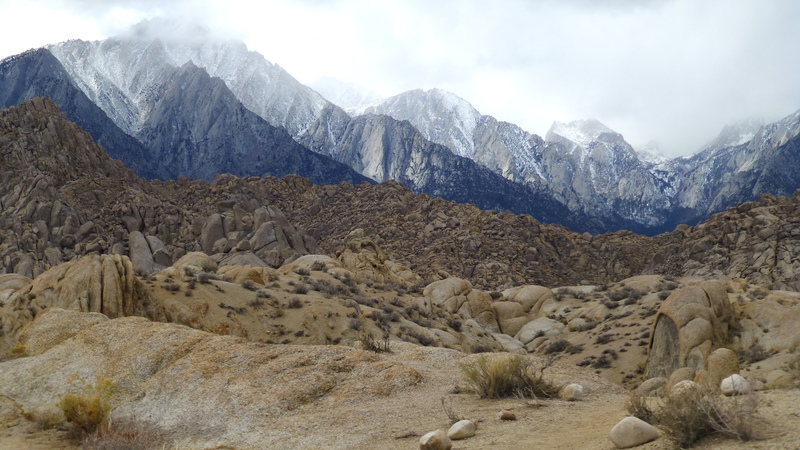 Then we went “on location” to the Alabama Hills themselves. You can purchase a map where you can see where different movies were filmed using GPS coordinates. But we had a different reason for wanting to go. 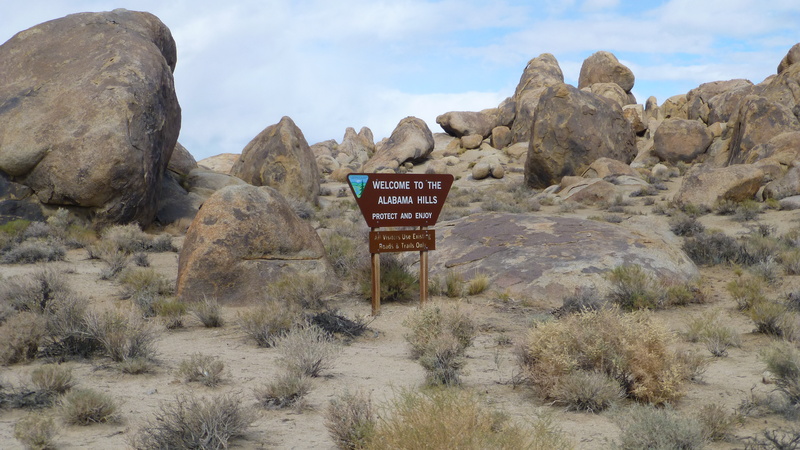 As RVers, we have heard about the Alabama Hills as a common “boondocking” area. Boondocking is camping without hook-ups, generally with solar panels, on BLM land, for free, up to 14 days at a time. It is not something we aspire to, but we were interested in seeing the area that people we’ve read or heard from are so excited about. The view here would be something to get excited about! We did enjoy driving around, hiking a bit, and generally enjoying the views! 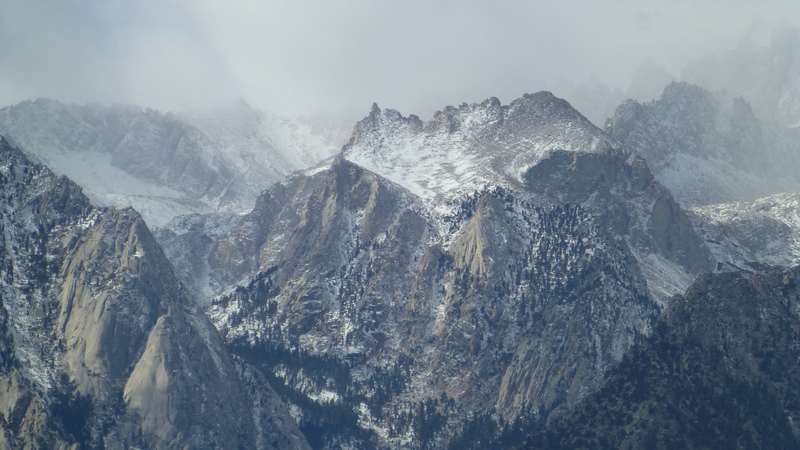 When we arrived in Lone Pine the mountains were bare, and now there is snow! The weather has turned cold. Randy spent the morning outside doing some of the never ending trailer maintenance (due to living in it full time and rockin’and rollin’ down the road) and had to take a long shower to warm up! Originally, we were going to go north and cross into Yosemite but now the pass is closed and our plans had to change. We are headed to the west side the Sierras by going around the south end instead of through them. We knew that might happen this late in the season so no worries – just more opportunity for me to look at maps and plan where to go! 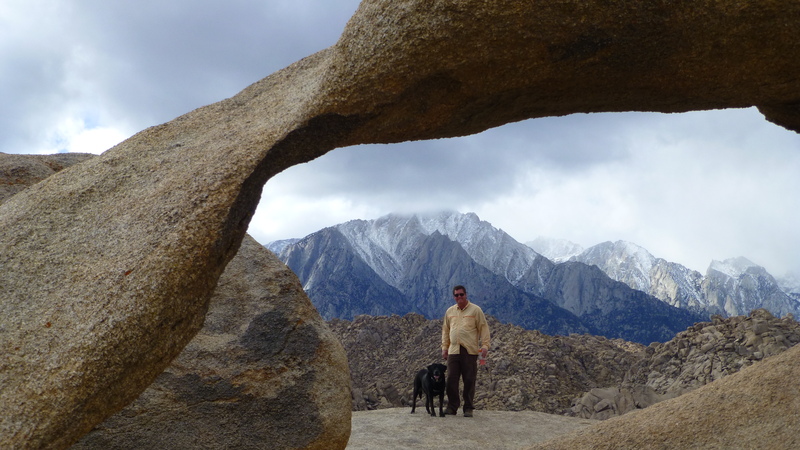 We have spent some time recently in the last couple of years traveling along the eastern Sierras– Yosemite, and a trip up from La Quinta (Palm Springs area). 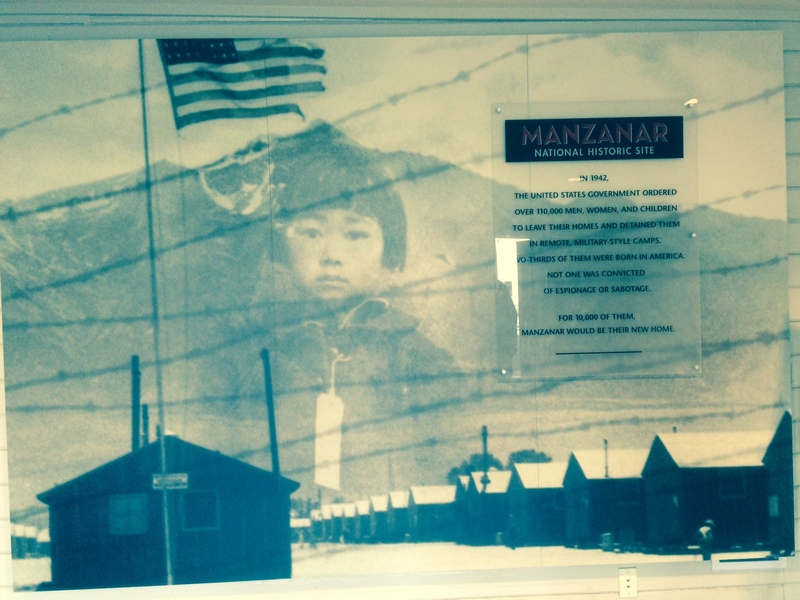 We also stopped at Manzinar as well. I was imagining how cold and windy it must have been in winter there. It’s difficult to understand how these places existed in the U.S. I’m enjoying following your travels! It was very windy (but not yet cold) when we were there and the sand was blowing like crazy. It had to be miserable in many seasons. There was a quote in the visitor center movie that the internees felt like they were helping the war effort by just going. 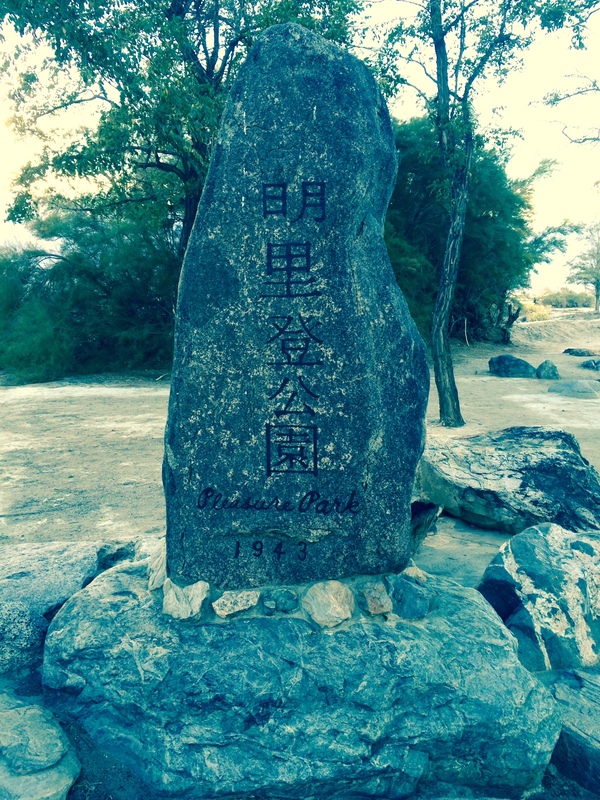 The park ranger said that after 9-11 there were some that wanted to do something similar with American Muslims, and it was the Japanese American community that spoke up and said it shouldn’t be done – something that didn’t happen for them in the fear of WWII. It was likely the most important place we’ve visited since we left. Glad to see you too. Glad to have you along with the blog!